MAYAN QUEEN IV is a Loading... luxury yacht, built by Blohm & Voss and delivered in 2008. Her power comes from two diesel engines. 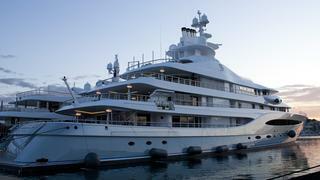 She can accommodate up to 26 people with 24 crew members. She was designed by Tim Heywood, and the interior design was created by Terence Disdale.